Uptown Spots. 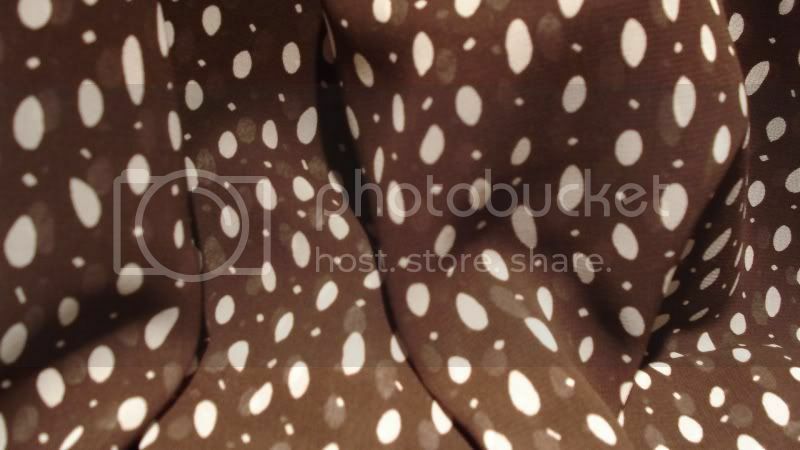 Chocolate Brown ground with ivory spots. 100% Polyester chiffon. 54" wide. We suggest Mccalls M5803 Hilary Duff blouse made of our Light Gold Metallic Linen GLL46 in handkerchief weight with featured Hilary Duff skirt made up in our Uptown Spots.